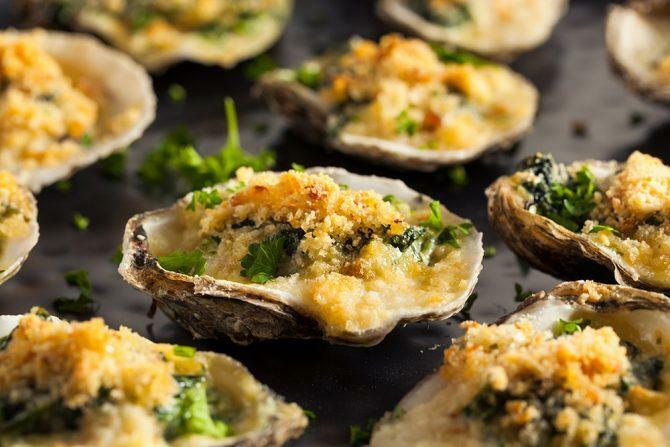 There is much ado over the original recipe for Oysters Rockefeller. We do know that is was invented by Jules Alciatore, the second-generation proprietor of Antoine's restaurant in New Orleans. We don't know, however, what exactly went into the original dish—just that there was a wealth of bright green herbs and it was rich, like John D. Rockefeller himself. Kosher Salt to hold oysters.